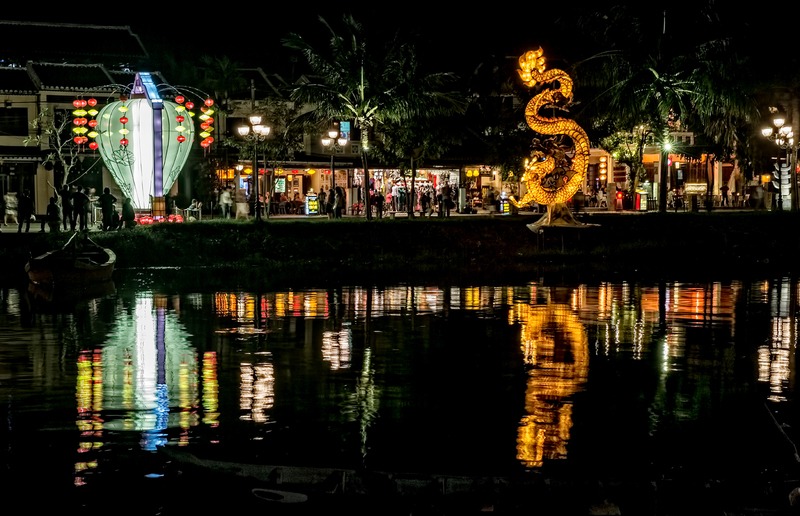 In January of this year, my wife and I spent several days in the beautiful and historic town of Hoi An, Vietnam. 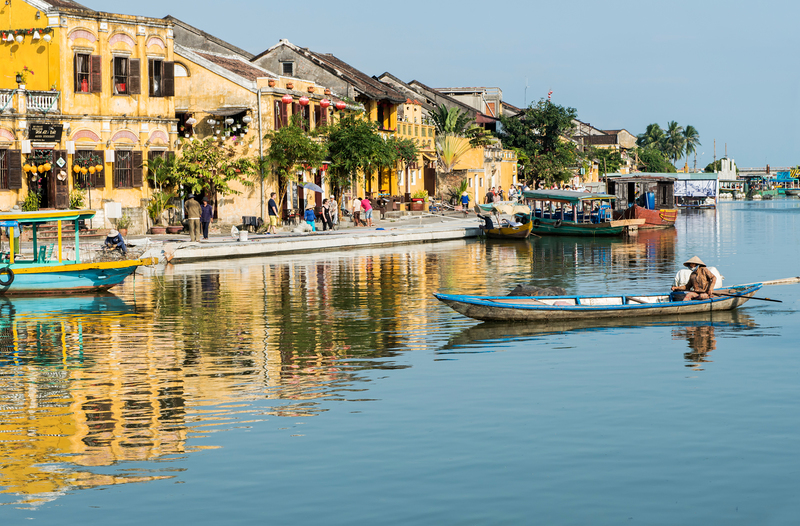 Hoi An is located on the east coast of Vietnam in Quang Nam Province, about a half hour’s drive south of Da Nang. 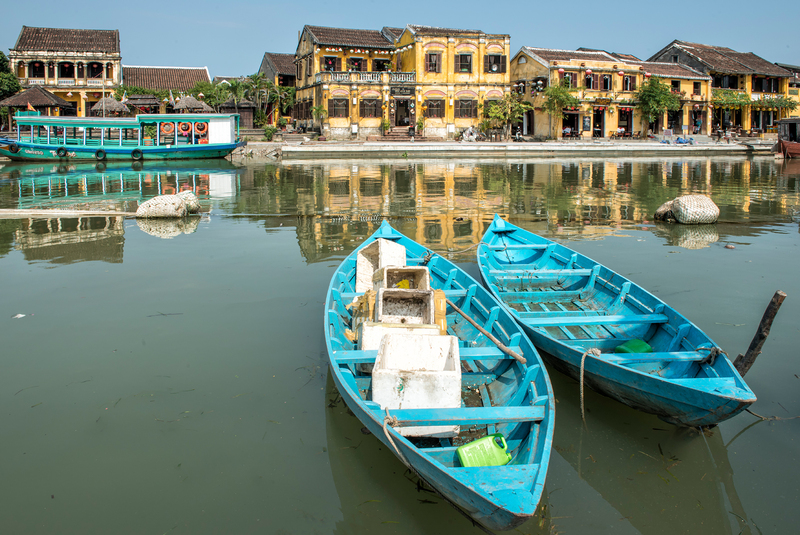 The Lonely Planet guide to Vietnam describes Hoi An as Vietnam’s “most atmospheric and delightful town.” Situated at the mouth of the Thu Bon River, where the river flows into the South China Sea, Hoi An was a major trading port from the 16th to the 19th centuries. 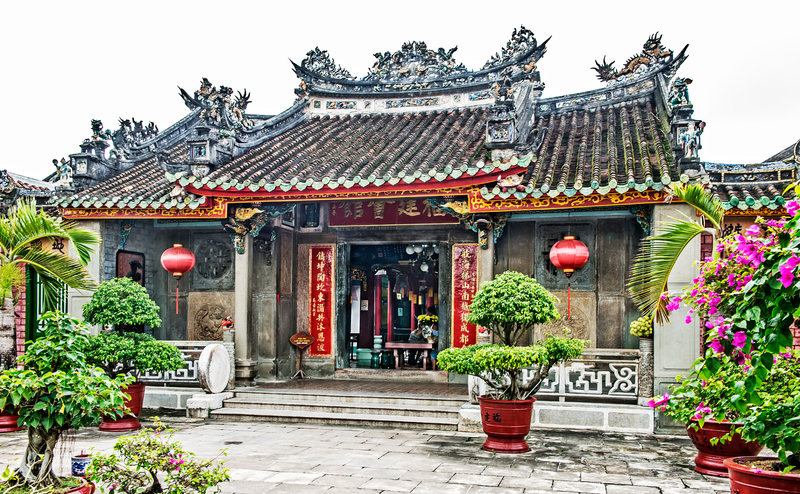 It was visited regularly by Chinese, Japanese, Dutch, Portuguese, Spanish, Indian, Filipino, Indonesian, Thai, French, British and American traders who came to Hoi An to purchase high-grade silk and many other products, and was the site of a number of Japanese and Chinese settlements in addition to the local Vietnamese community. 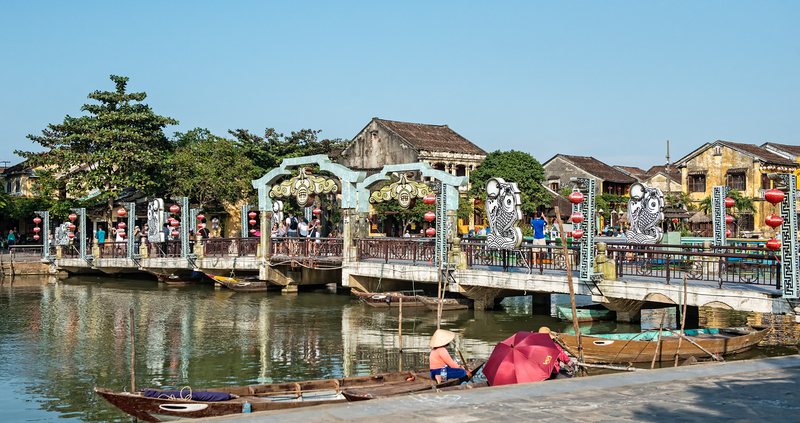 Toward the end of the 19th century, the Thu Bon River silted up and Hoi An was replaced by Da Nang as the region’s principal trading center. 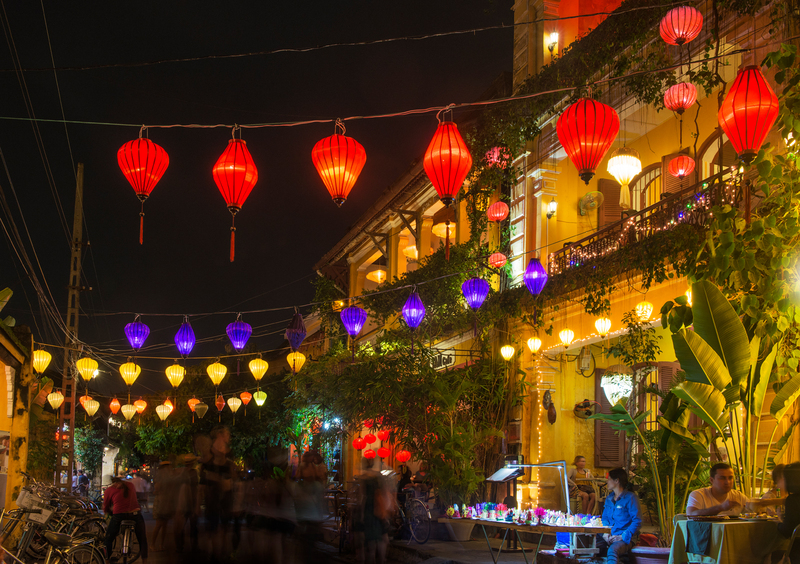 As a result, Hoi An was largely unaffected by the modernization experienced by Da Nang and other commercial centers and its street patterns and architecture are very much the same today as they were in the 19th century. 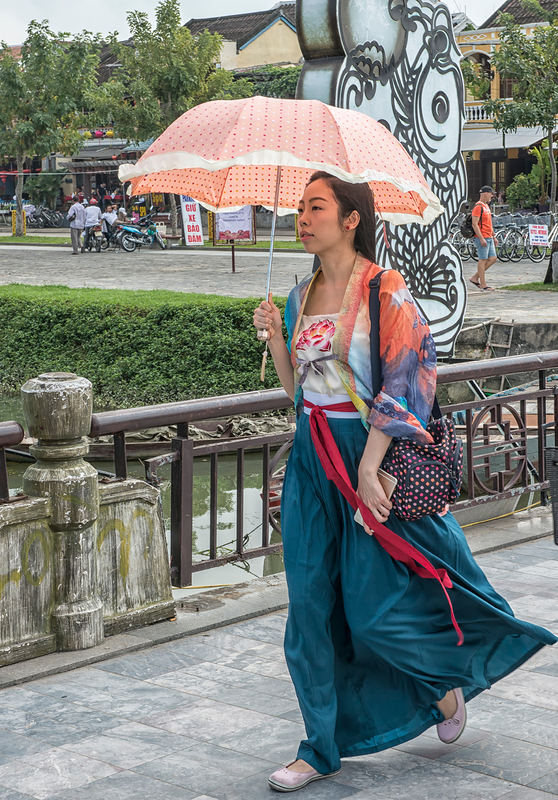 The town thus displays a profusion of centuries-old wooden Japanese and Chinese structures in addition to the local Vietnamese buildings. 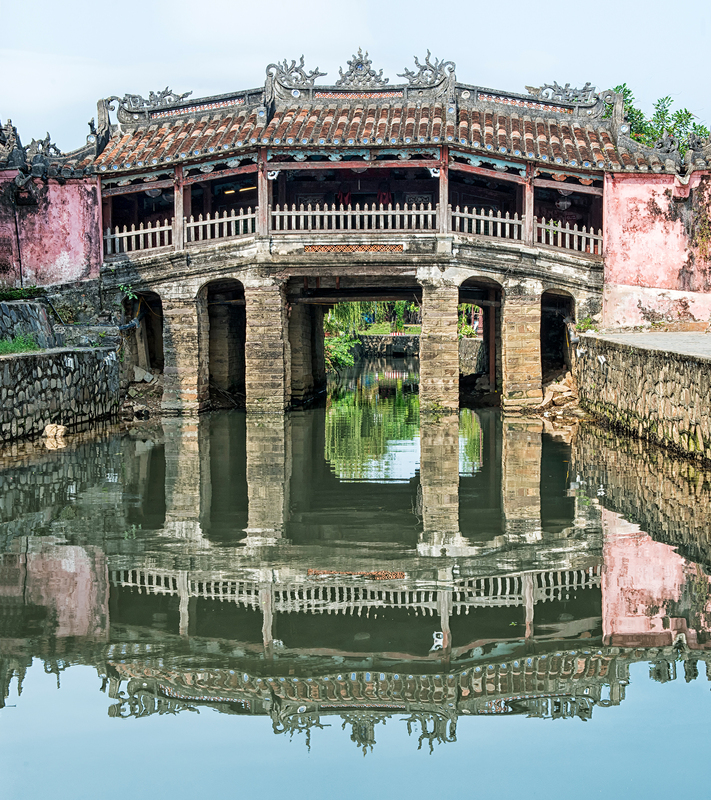 This largely accounts for Hoi An’s historic charm. 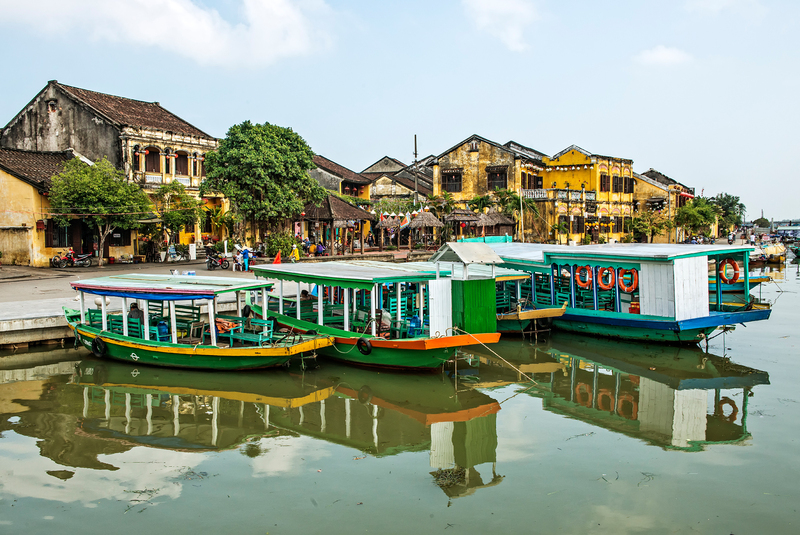 It was designated in 1999 as a UNESCO World Heritage site, for its character as “an exceptionally well-preserved example of a South-East Asian trading port.” See http://whc.unesco.org/en/list/948. 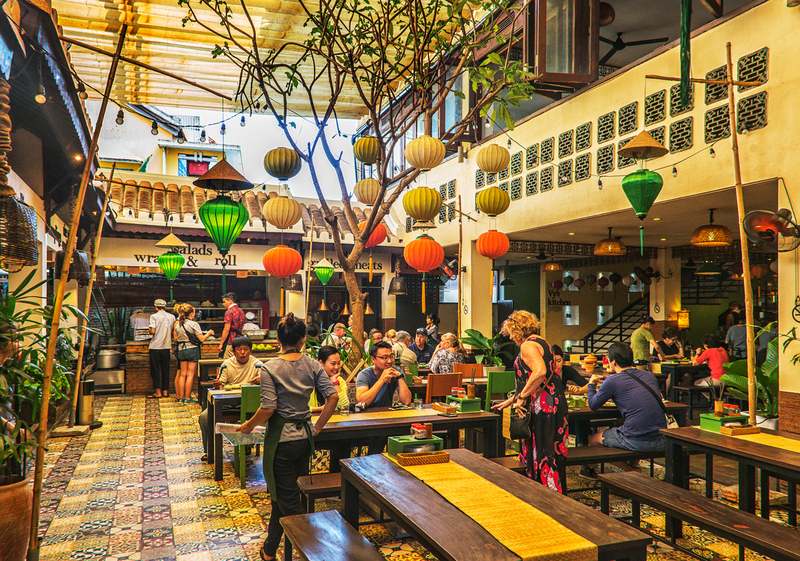 Its economy today is heavily oriented toward tourism, and it is a much prized culinary center with a large number of excellent restaurants and cooking schools. 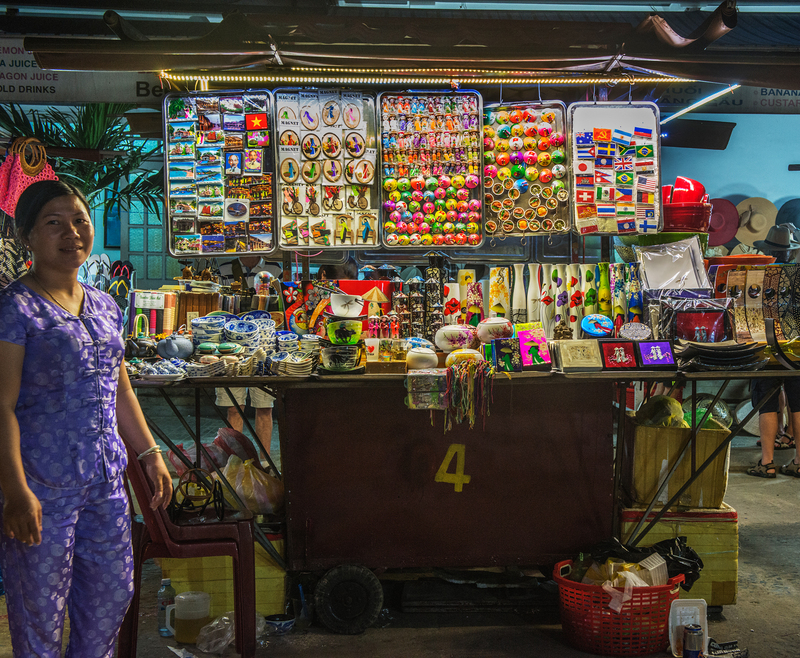 Silk and silk fabrics, clothing and lanterns are still, however, the town’s most sought after local products. 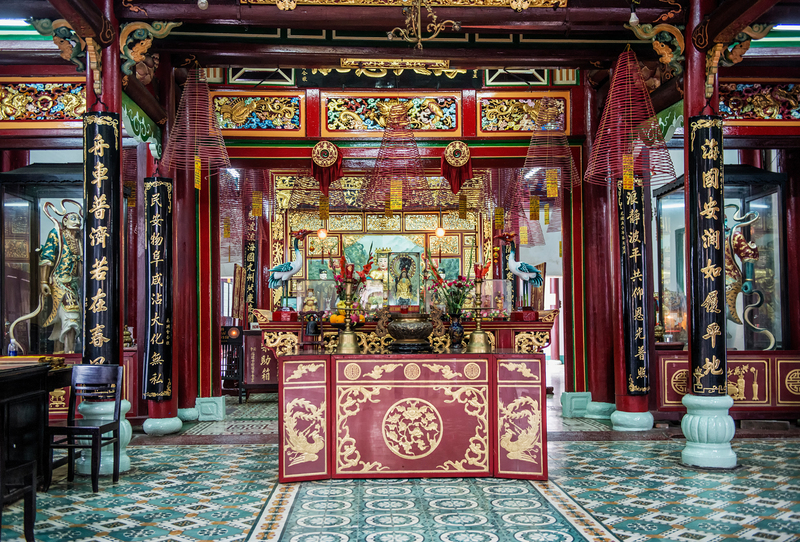 Examples of Chinese architecture abound, including several assembly halls that serve different communities of Chinese immigrants residing in the town. 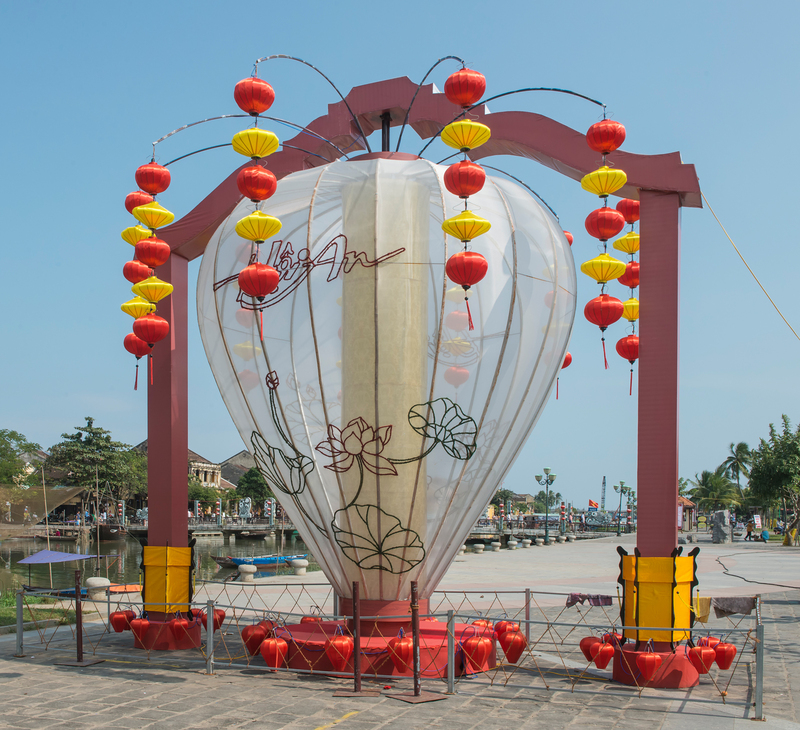 Here we see the entrance gate to the Assembly Hall of the Fujian Chinese Congregation. 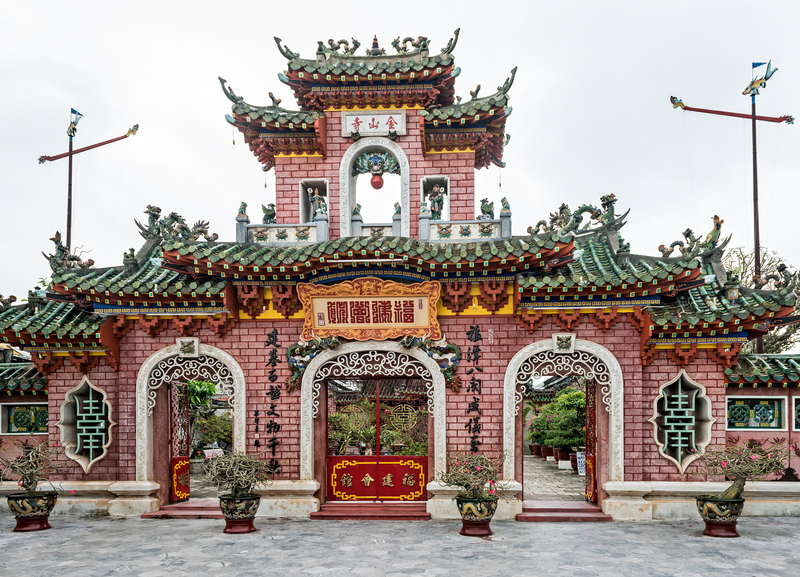 Originally built as a place for Fujian Chinese immigrants to socialize and trade, this assembly hall was later transformed into a temple to Thien Hau, their goddess of the sea. 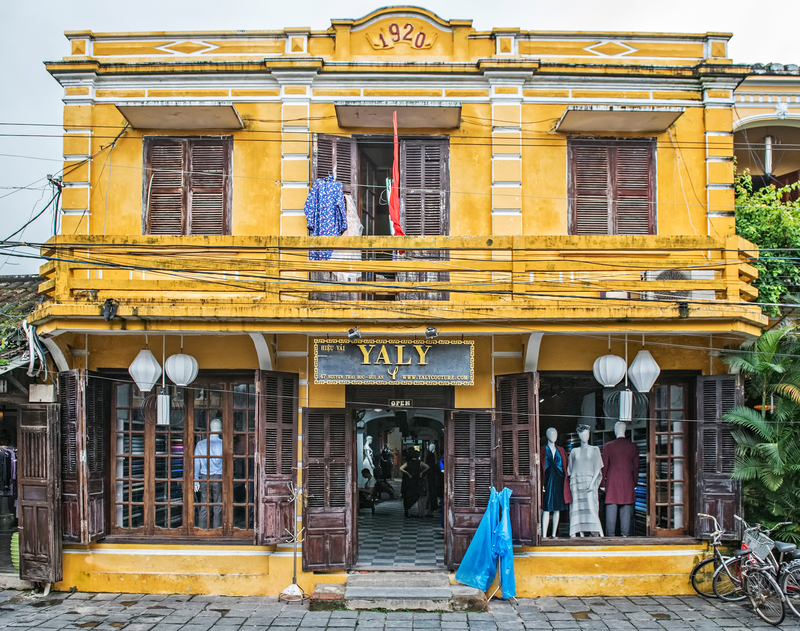 Hoi An is home to several expert tailor shops, such as Yaly Couture, where a visitor can select from a large stock of silk fabrics and have a custom suit, dress or shirt made in a few days. 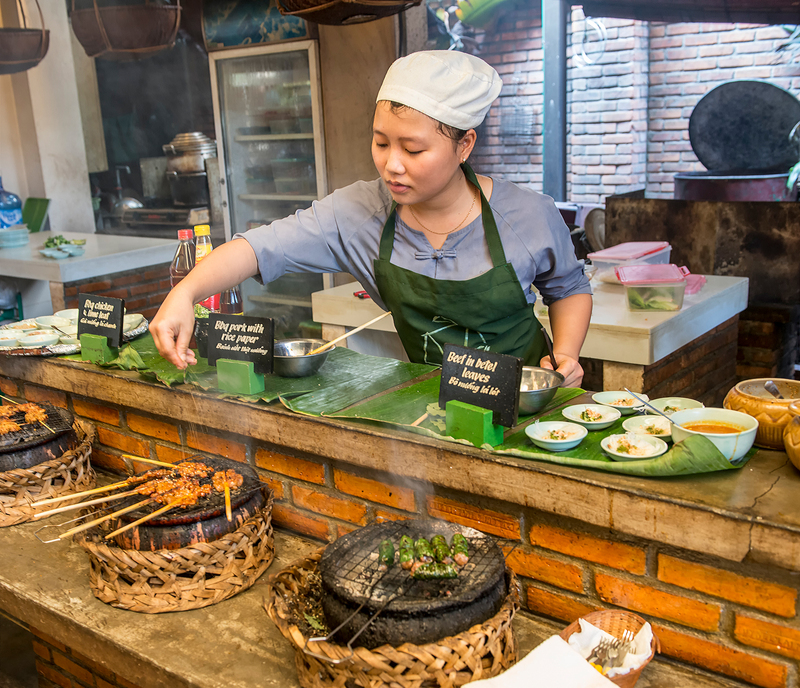 As our little group of “students” made the rounds of the various stations, guided by an English-speaking teacher, we performed some of the steps required in the course of preparation and sampled the results, resulting in a satisfying meal as well. 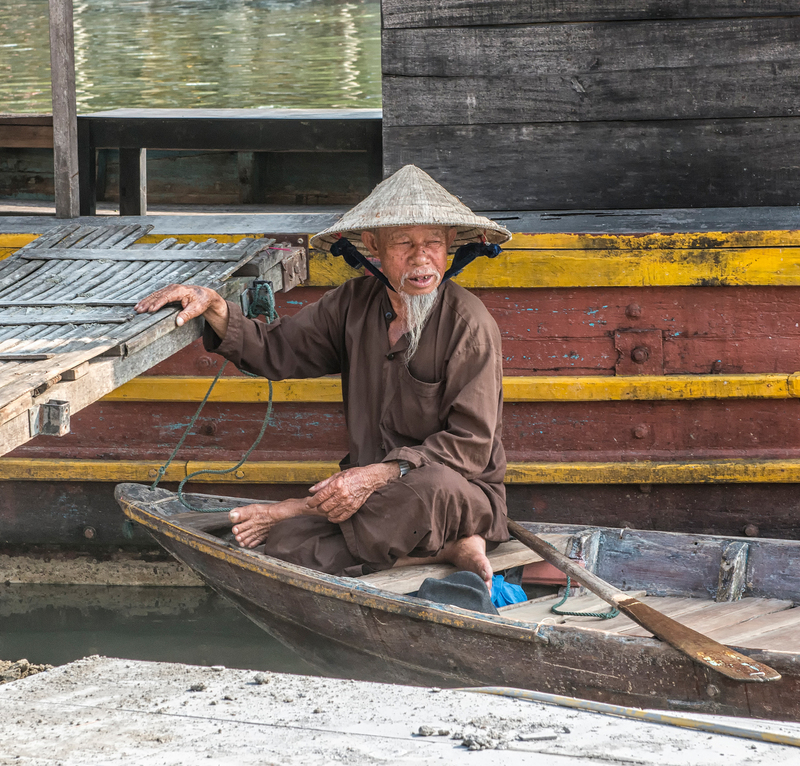 The days my wife and I spent in Hoi An were one of the principal highlights of our visit to Southeast Asia. 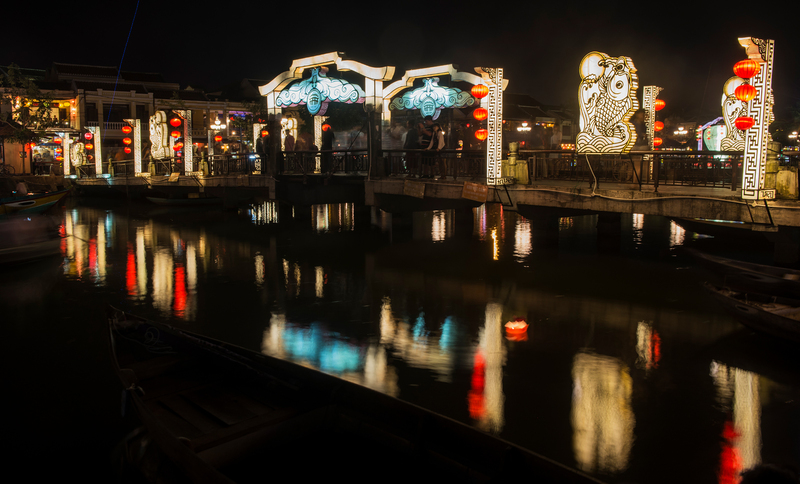 Travelers to the region should not miss an opportunity to experience it. I enjoyed your article very much, Phil. 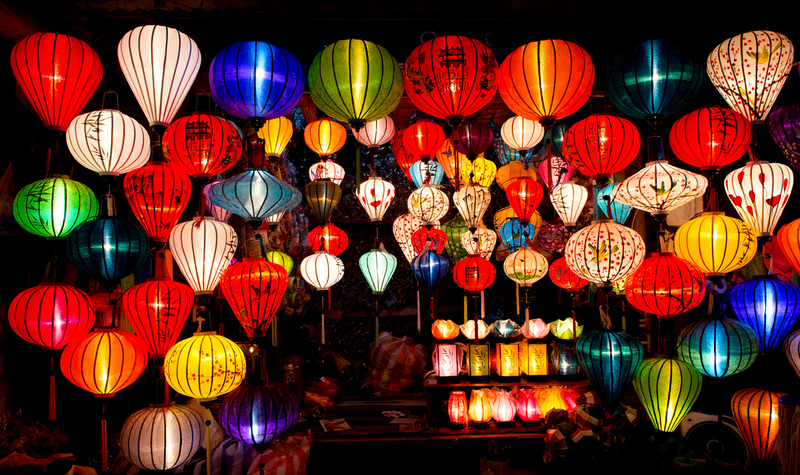 It made me want even more to visit there.